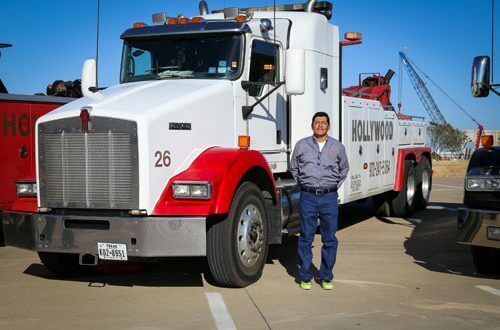 Whether you are sitting on the side of a road in your car and need 24/7 emergency towing service, you have a tractor trailer that has gone into a ditch and you need specialized big rig towing, or you are looking for a fleet towing partner, you can trust Hollywood Towing for all of your towing needs in the Dallas Fort Worth area. 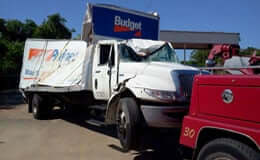 We provide light, medium, and heavy duty towing and recovery services. We have smaller tow trucks as well as big wreckers for big jobs. Our primary goal is to get your vehicle back on the road as quickly and safely as possible. We understand the costs and inconvenience associated with an accident or break-down. We do this by sending the right truck the first time, with fully trained drivers who are prepared to meet your needs as efficiently as possible, whether you need a jump start, an accident recovery, or a tow for a mechanical breakdown. 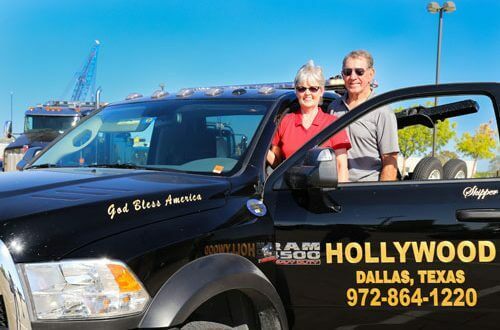 With over 10 years of service in the Dallas / Fort Worth Metroplex, the management of Hollywood Towing adheres to the highest standards in the industry. We strive to develop long term relationships by providing dedicated customer service and ensuring safe, quality work. We regularly perform complex or difficult jobs that require superior knowledge and industry experience. Other tow companies use our services for their own breakdowns, because they trust that we will do the job right! Our commitment to our accounts has landed us relationships with many fleet and corporate companies. We serve 4 law enforcement agencies in the Dallas metro area. These accounts rely on our services daily, and have the confidence and trust that we will perform to a high level of excellence. Hollywood Towing was founded in 2001 and is a certified Women’s Business Enterprise through North Central Texas Regional Certification Agency and Women’s Business Council Southwest. We maintain these certifications as a service to our clients who may be required to meet particular criteria in contracts and business diversity. We meet and exceed all local, state, and federal regulations. 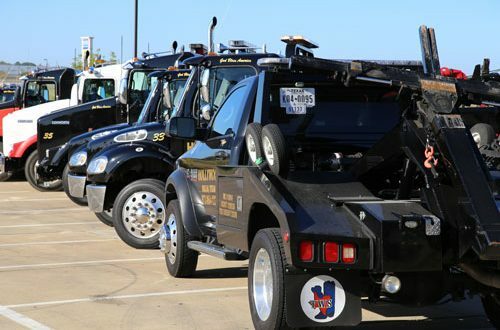 We are members in good standing of the Southwest Tow Operators and the Greater Dallas Emergency Wrecker Association. We are TDLR licensed. We can handle your fully-loaded overturned tractor trailer at the side of the road or in a ditch. We have skid-steers, an end loader and many other pieces of equipment at our disposal. We work with all insurance companies and have great relationships with law enforcement. Hollywood Towing is the only call that you need to make. LEARN MORE. If you’re looking for help with fleet vehicle recovery in the Dallas Fort Worth area, you have come to the right place. 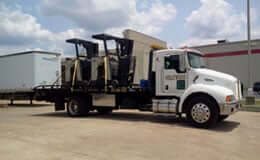 We are fully equipped to handle your fleet recovery needs. This includes complete recovery equipment such as chains, generators, torches, chainsaws, lighting equipment, and more. LEARN MORE. Our fleet of units are designed to handle an array of vehicles from bucket trucks to business class box vans and small buses. 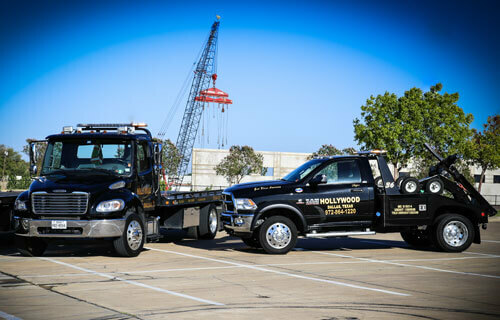 From your camper or recreational vehicle, to bus charters, step vans and delivery trucks, Hollywood Towing covers all of your heavy duty recovery needs in the Dallas Fort Worth Area. LEARN MORE. Are you in the Dallas Fort Worth Metroplex on the side of the road with a stalled automobile? 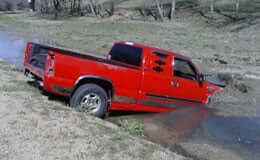 Or do you have a pickup or service truck stuck in a ditch or even underwater? Don’t panic, Hollywood Towing can help. LEARN MORE. 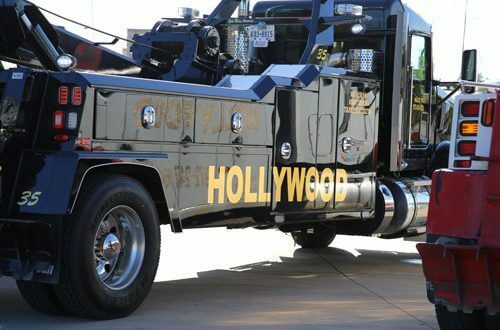 Why Choose Hollywood Towing for Your Towing and Recovery Needs? We are equipped to handle all of your towing and recovery needs. Our fleet of vehicles includes small tow trucks to big wreckers for the biggest jobs. We have complete recovery equipment such as chains, generators, torches, chainsaws, lighting equipment, and portable high-powered lighting for night-time recovery operations. Call on us 365 days a year, 24 hours a day and we will assist you. Whether you need emergency breakdown assistance or to be pulled out of a river, you are never alone when you call Hollywood Towing. We have been a trusted member of the Dallas Fort Worth community for years, exceeding all local, state and federal regulations. We are TDLR licensed and are members in good standing of the Greater Dallas Emergency Wrecker Association and Southwest Tow Operators. At Hollywood Towing, our customers are our number one priority. We strive to provide excellent service, customer satisfaction, and state of the art equipment. We care about our customers, and we want to provide the best possible service EVERY time. Please visit our testimonials page or read our online reviews to see what our clients say about us. Our employees are routinely commended for their courtesy & customer service, going above and beyond the call of duty. We know that each of our customers expect quality, and our employees are trained to deliver that quality and excellent service on every call. All of our drivers must be certified, background checked, drug tested, & permitted.